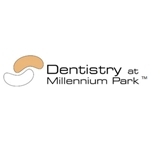 Dentistry at Millennium Park (Chicago) - Book Appointment Online! We are a Minimally - Invasive Dental Practice. I take pride in that our goal is to SAVE teeth and SAVE tooth structure with minimal or no drilling.